Click on the image at right to download a primer about the people’s resistance against foreign-controlled large-scale mining in southern Philippines. The primer was prepared by the SOCCSKSARGENDS AGENDA. Below is a factsheet prepared by the Alliance for Genuine Development – SOCSKSARGEN, about the massacre of the family of Daguil Capion on 18 October in South Cotabato. Also below is an appeal for financial support for the people’s campaign against large-scale mining activities in southern Philippines. Members of the Armed Forces of the Philippines (AFP) under the command of Lt. Col. Noel Alexis Bravo of the 27th Infantry Battalion assigned in Tupi, South Cotabato. The late Juvy Malid Capion was a member of Kalgad a Lumad Organization against Large-scale mining while his husband Dagil Capion is a B’laan tribal leader. On October 18, 2012 at about 6:00 o’clock in the morning members of the Armed Forces of the Philippines 27TH Infantry Battalion under the command of Lt. Col. Noel Alexis Bravo in full battle gear arrived in Fayahlob, Sitio Datal-Alyong , Brgy Danlag, Tampakan, South Cotabato and strafed the house of Capion’s family, instantly killing of a 3-month pregnant Juvy Capion, 27 years old, farmer and her minor children JanJan Capion and Jorge Capion, 13 and 8 years old respectively while her 5 year old daughter Vicky Capion was wounded. Right after the massacre, members of the AFP brought the dead bodies of the victims outside the house and laid them on the ground for eight (8) hours until 3:00 o’ clock in the afternoon to compel Dagil to surrender. The soldiers later allowed the relatives of the victims to get the remains. Dagil is a tribal leader and the husband of the late Juvy Capion. He is leading a pangayaw or tribal war, part of B’laan culture done in protection of their clans against any harm. 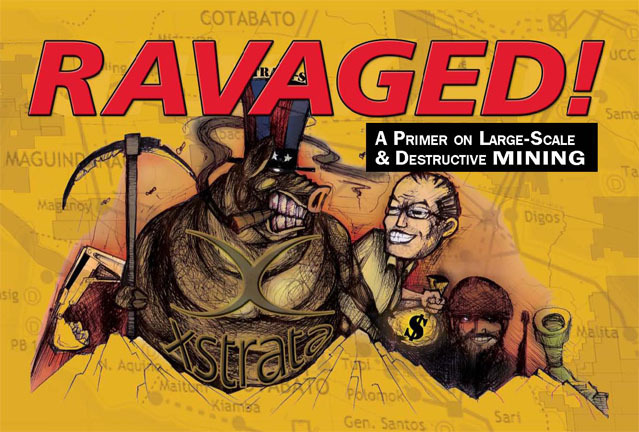 Daguil has been waging this tribal war against Xstrata-SMI’s mining operations for almost 2 years now. Because of this, he is being hunted and target of military’s operation. According to Daguil himself, when interviewed over the phone by a local tv station, he was not at home during the massacre. He was some 200 meters away when the massacre happened.